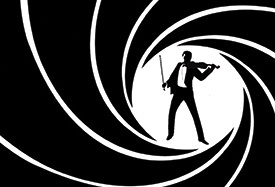 The Florida Orchestra in St. Petersburg, Florida, has scheduled a program of James Bond film music in February 2020. The program is scheduled for Feb. 8-9, 2020. Two shows on Feb. 8 (2 p.m. and 8 p.m.) will be at the Mahaffey Theater in St. Petersburg. A 7:30 p.m. performance on Feb. 9 will be performed at Ruth Eckerd Hall in nearby Clearwater, Florida. St. Petersburg was a location in the second James Bond novel, Live And Let Die. h/t to reader Gary J. Firuta who let the blog know about this musical program. 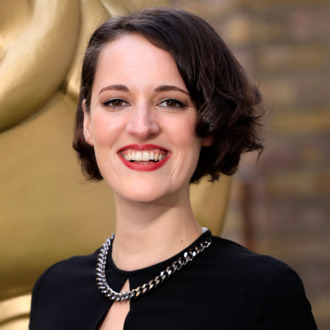 Phoebe Waller-Bridge, a writer and performer, has come aboard Bond 25 as the newest screenwriter. The story was broken by the Mail on Sunday while The Guardian had its own, later story with additional details. The blog participated in episode 005 of the James Bond & Friends podcast, which was posted this week by the MI6 James Bond website. We discuss the kind of Bond film we are hoping for from (Daniel) Craig and (Cary) Fukunaga, and expectations of a kick-off press conference any day now. Along the way we spoil the plot to several classics, uncover ‘stealth writers’ in our midst, curse local papers’ photo editors, highlight the dangers of impersonating the PM, run into a drag-queen doorman, muse on the leaky nature of past productions, banish Tarantino from the Bondverse, and stumble on a machine learning Bond film. The other participants on the podcast were James Page and Paul Atkinson of the MI6 website; David Leigh of The James Bond dossier; and author Mark O’Connell. Metro-Goldwyn-Mayer’s chief operating officer said 2020 will be “a Bond year” with the release of Bond 25. “As for 2020, we could not be more excited about the film slate,” Christopher Brearton said on an investor call. 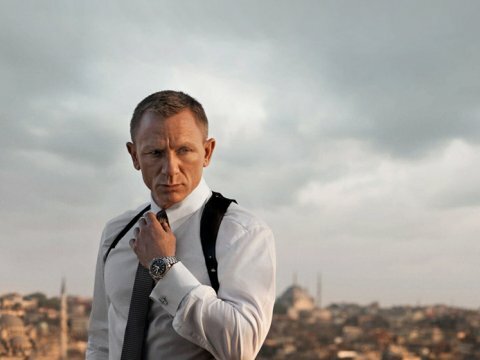 “It’s a Bond year.” The movie’s April 8, 2020 U.S. release date, he said, means it “will be out in time” for Easter and spring break. Bond 25 has been delayed twice. It originally had U.S. release dates of November 2019 and February 2020. The exit of Danny Boyle as director caused the postponement until February 2020. The second move came as the film’s script was rewritten for four weeks by script doctor Scott Z. Burns. Brearton, in prepared remarks, didn’t get into that background. Bond 25 is being released in the U.S. by United Artists Releasing, MGM’s joint venture with Annapurna Pictures. Universal is handling international distribution. The executive also said MGM’s 2019 financial results will be affected by investments in its film and TV units as well as Bond 25 being pushed back into 2020. Brearton emerged as a first among equals in the MGM executive suite after CEO Gary Barber departed the company in March 2018. No CEO has been named since. The chief operating officer also talked about MGM’s strategy more broadly. He said the studio plans to release four-to-six movies under the MGM brand and additional, smaller budget films under its Orion brand. Brearton said a third Creed movie, a continuation of the Rocky saga, is in development. MGM also has done a deal with Joe and Anthony Russo where the brothers will supervise remakes of movies in the company’s film library. The Russos have co-directed four Marvel Studios movies, including the upcoming Avengers: Endgame.